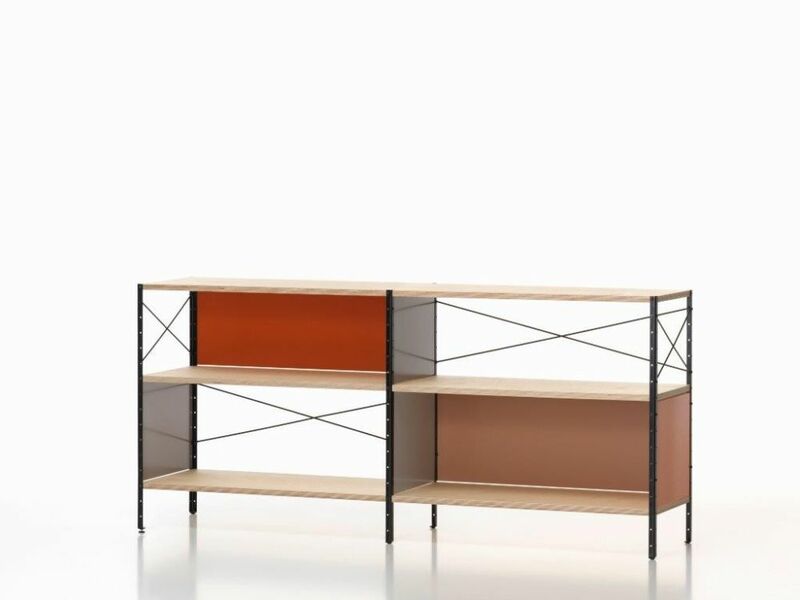 Charles and Ray Eames developed the Eames Storage Units ESU (1949) according to the principles of industrial production. The ESU Shelf is available in various heights. Maple plywood with birch face veneer, transparent lacquer finish.